1. 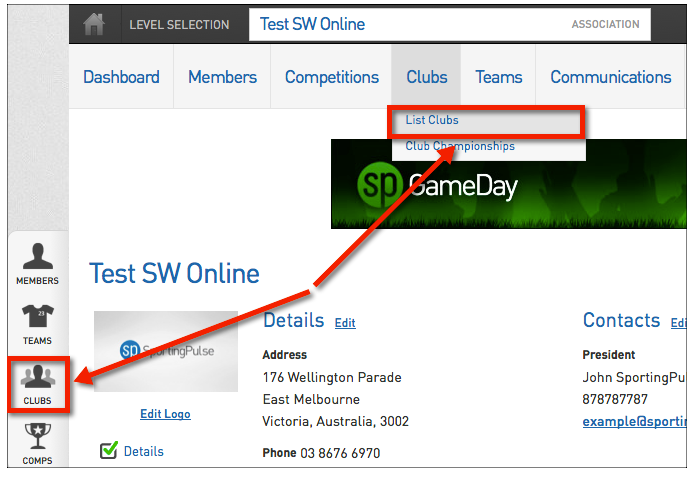 Click on clubs and then list clubs in the top menu or click clubs in the left hand menu. 3. Enter the club details in the fields provided. Fields marked with a red asterisk are compulsory fields. 4. 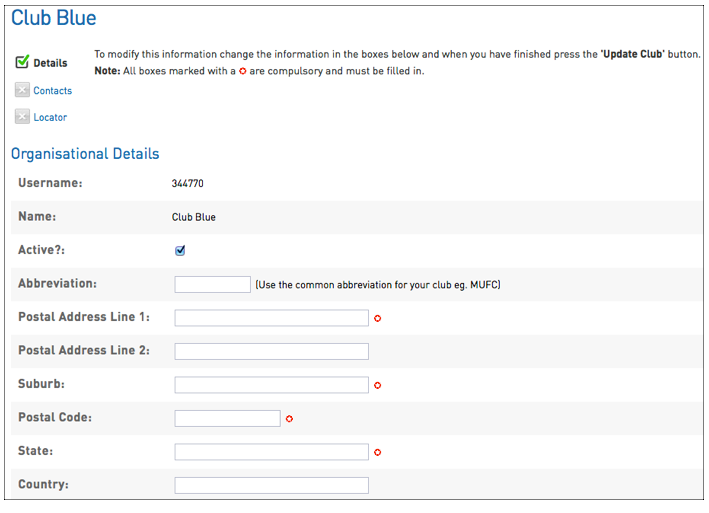 Click on Update Club to add the new club to the database. 5. A message will appear confirming the addition of the new club. 2. A list of clubs within the association will appear. 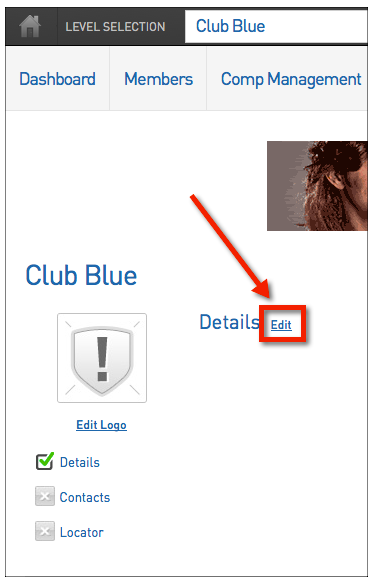 Click on the View icon next to the club that you want to edit. 3. The 'Dashboard' for the club will open. Click on Edit next to the 'Details' heading. 4. 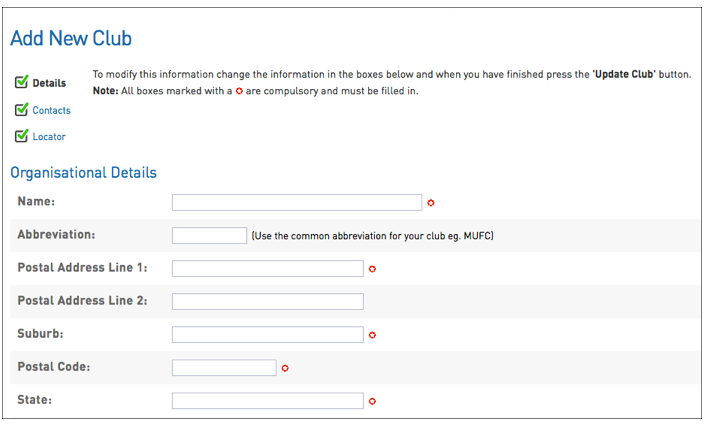 Update the details of the club using the fields provided. 5. Click on Update Club. 6. A message will appear confirming that the club has been updated.